Meeting or exceeding our customer’s needs and expectations. Ensuring that the company cost effectively produces the highest quality products, while providing on time deliveries. 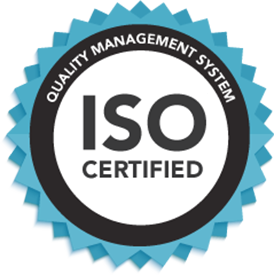 Implementing and maintaining the ISO Certified Quality Management System. Establishing quality targets for product and process improvement. Measuring how we are doing with audits and reviews. Taking preventative and/or corrective actions to eliminate future problems. Monitoring, measuring where applicable, and analyzing the Quality Management System’s processes, including any non-conformities. Implementing actions necessary to achieve continuous improvements in quality and productivity.